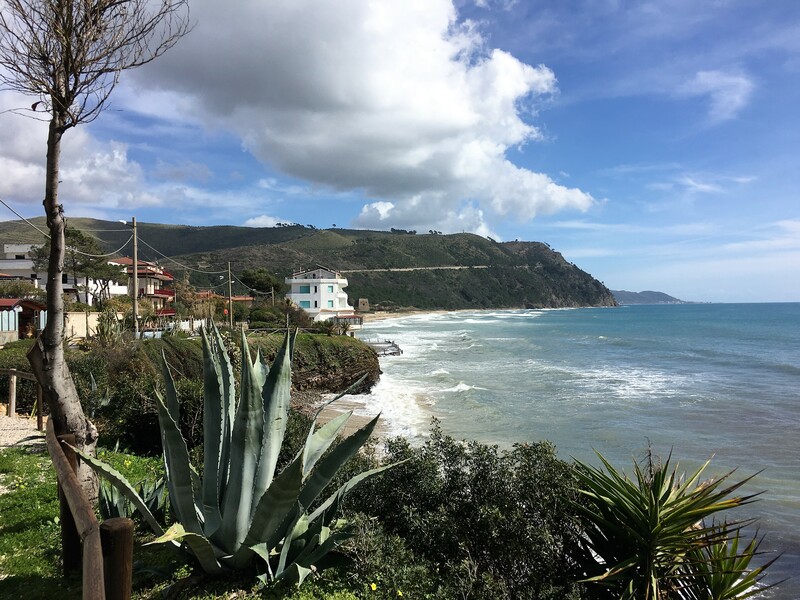 We drove down the road to Agropoli, the same road we had driven the day before in the other direction. A parking spot close to the coast was going to be a starting point for a bike ride. Paul knew he had a job to do as the rear tyre on his bike was completely flat, but when he took the bike down off the rack the wheel was buckled so badly that it was rubbing on the fork. We racked our brains trying to work out when we would have picked up this damage, but it didn’t really matter, we weren’t going to be riding the bikes today. A quick google search found a nearby bike shop just north of Paestum, so we drove up the fateful road again to find it. Despite the language barrier it was pretty obvious what we needed and the staff in the shop had a go at straightening out the wheel before agreeing that yes, we needed a new one. The bike was left with them till the following morning and we needed to make a decision about how to spend the rest of the day. Along that road we were getting to know so well we had spotted a number of ‘caseificio’. 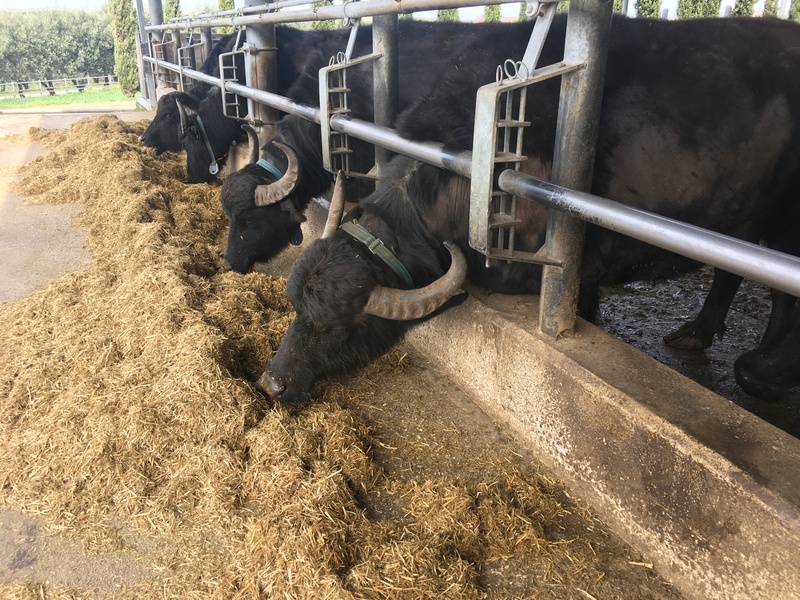 These are the dairies of southern Campania, an area known for it’s herds of buffalo which produce super creamy mozzarella and other buffalo milk products. 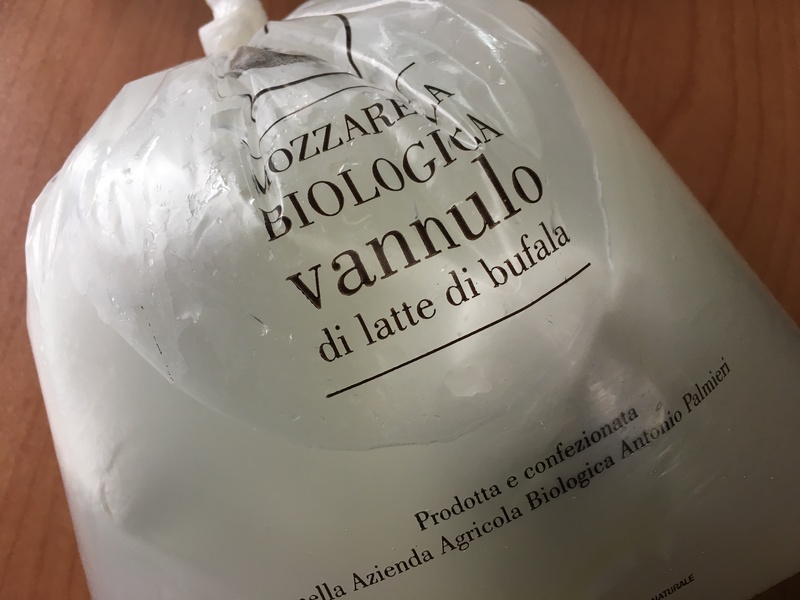 A quick internet trawl took us to Caseficio Tenuta Vannulo which promised organic mozzarella and more. 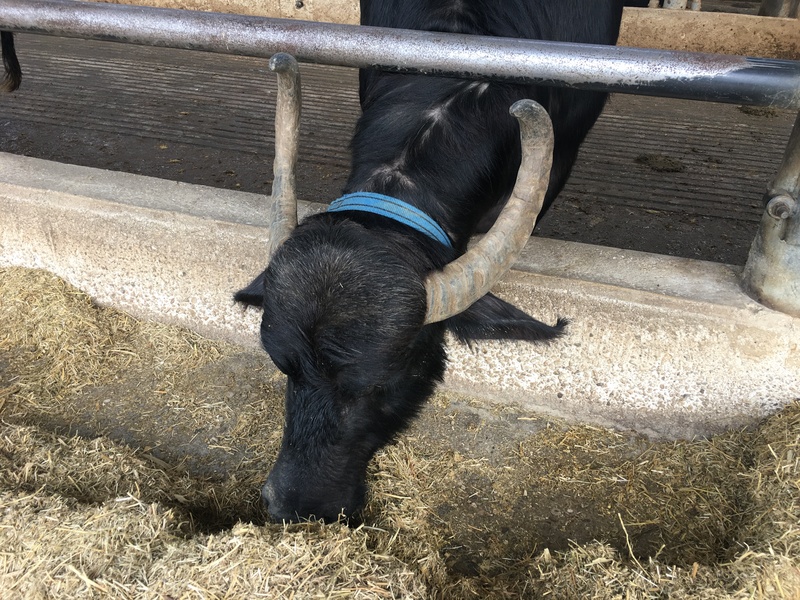 We had missed the guided tour, but we could still take a look at the buffalo in their winter lodgings and mooch around the dairy buildings. In the dairy itself a small sales area was rammed with people queuing to buy products. Paul decided to wait outside as I took a ticket and got in line. People were leaving with polystyrene cool boxes full of items and I was glad there was a bit of a queue so I could peruse the list on the wall that showed the small range of possibilities. 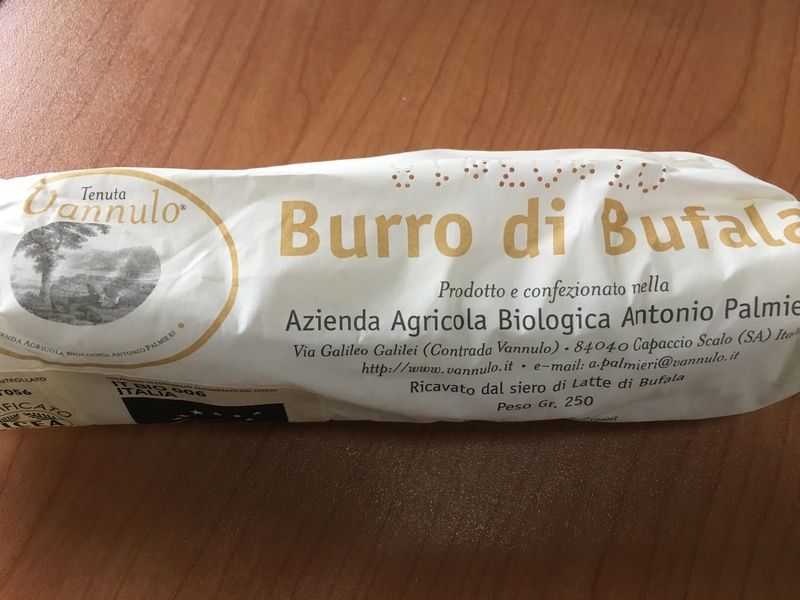 I decided that not only would i pick up some mozzerella but also I would try some buffalo butter. I felt a bit miserly placing my tiny order in light of the large quantities being bought by other people but no one batted an eyelid except at my pronunciation of ‘burro’ (I’ve never been able to roll my ‘r’s). Following the scrum of the dairy we popped next door into the ‘Yogurteria’, a café selling yohgurt, ice-cream, desserts, drinks and sandwiches. An ice cream each – pistachio and chocolate flavours because we’re predictable – for a couple of euros each and we were both relaxed and happy. I couldn't get any of the buffalo to pose for me. They were too interested in eating. We needed to stay in the area to pick up the bike, and we needed to use some services, so decided to drop into Camping Villagio Pini; an ACSI campsite shaded by many pines which I’m sure create welcome shade in the summer, but just created annoyingly heavy water droplets in the rain that evening. The site was nearly empty, apart from some long term tenants who had nabbed the beachfront pitches, we picked an easy access pitch (some looked quite difficult to navigate into) close to the wifi and settled in for the rest of the day. Our indication of money well spent on a campsite, the showers were hot and powerful. The following morning we popped back up the road to pick up the bike with it’s new straight wheel. Good service and a reasonable price made us very happy. We also popped back into the Caseficio, where there was no mozzarella, but we didn’t care because we wanted more butter. At €1.50 for 250g it was cheaper than supermarket butter and amazingly creamy, tasting almost like clotted cream. Having picked up the bike you might think we would go for the bike ride we had missed out on. But no, for whatever reason we decided that we would push a little further south and go for a walk. We proceeded through the edges of the Cilento national park down to Ogliastro Marina. 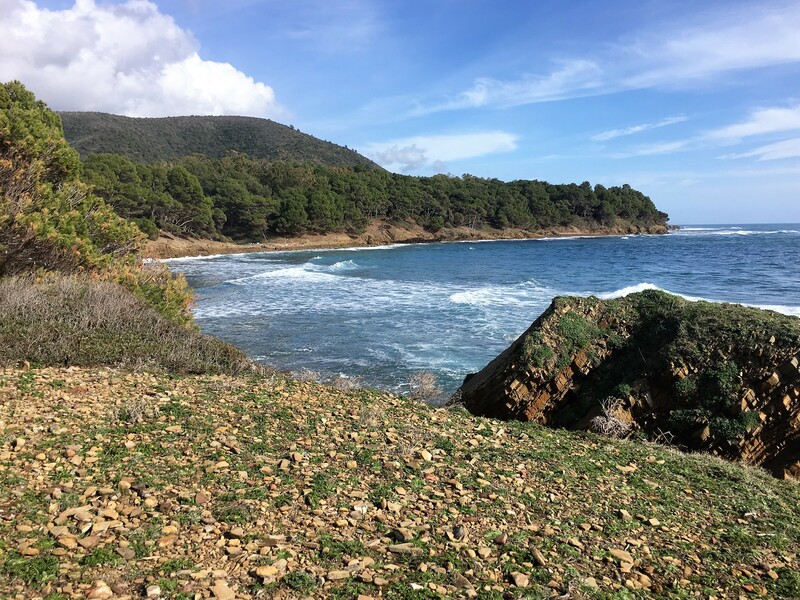 We couldn’t make it to our anticipated parking spot – the car park we thought we had spotted on Google Maps was actually part of a large camping village that was closed – but we could park on the side of the road as it was the low season. From here we walked along the coast path westwards. 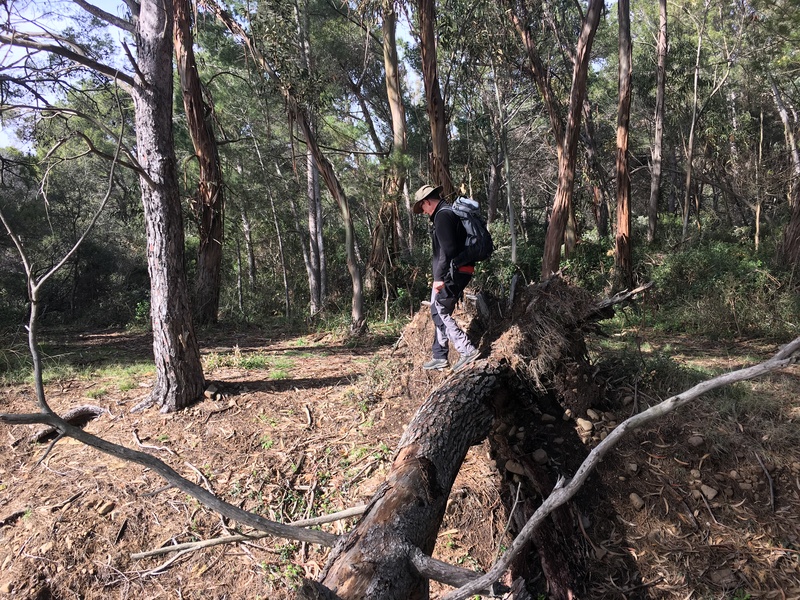 Initially we thought we were going to be thwarted, having to go through a gate that proclaimed itself private property and encountering fencing where we thought the path should be. But we persevered, by going through the gates and past the fencing we managed to find a cut through to the coastpath. Other walkers and cyclists were using the path and nearby road so we didn’t think we would be in too much trouble. 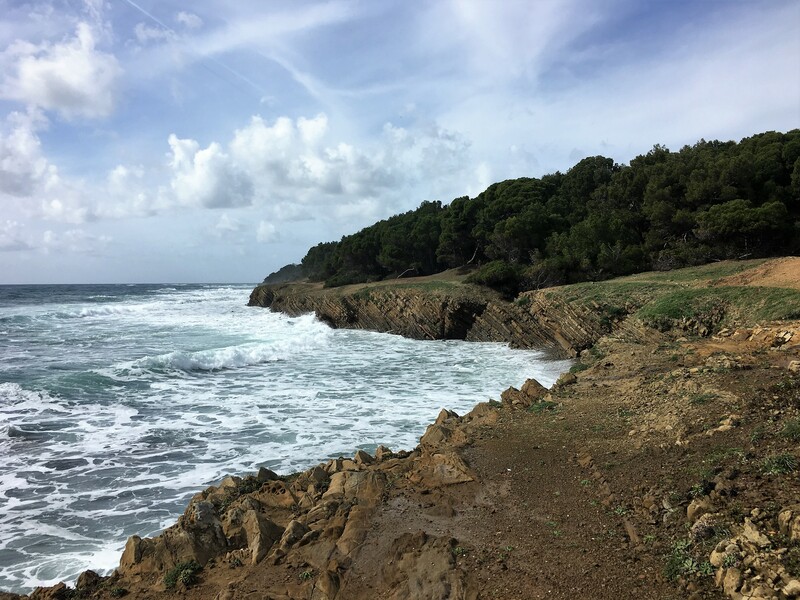 This walk took us along a low cliff, never more than a couple of meters above the water and interrupted frequently by streams and small shingle beaches. Behind the coast was an open pine wood with gnarly trees and lots of green spring growth. Lizards basked on trees and rocks and birds were singing. Waves provided a rhythmic backdrop of noise. 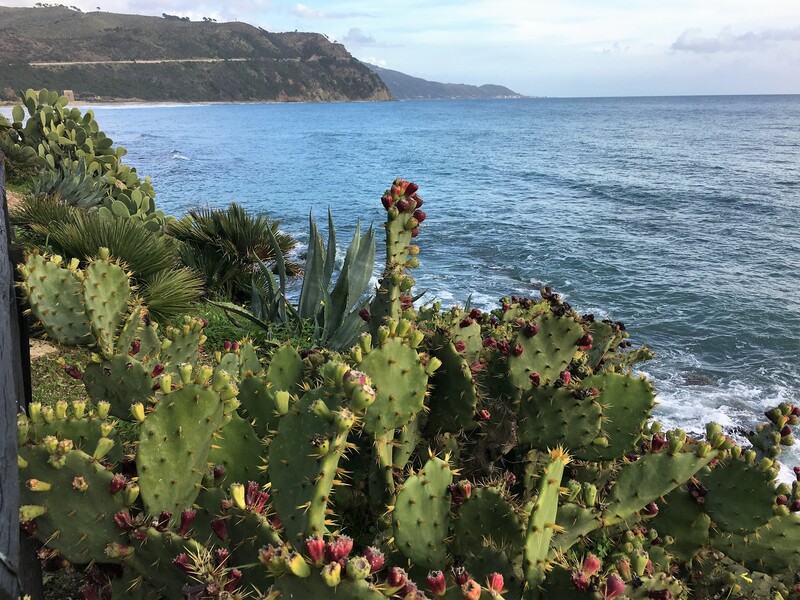 It was hard to believe, but this was our first coastal walk in Italy. Our previous attempts to enjoy the coast had been thwarted by the weather, and much of the coastline had been unappealing. Now we were freshly inspired. We decided that we would move on from our roadside parking, so headed down to the archeological site of Elea/Velia where we parked up in the spacious coach parking ready to visit the following morning.